THE Union Cabinet on July 19 gave in-principle approval for sale of government's stake in HPCL (Hindustan Petroleum Corporation Limited) to ONGC. ONGC will not have to make open offer post buying 51.11 per cent government stake in HPCL. has been initiated," Oil Minister Dharmendra Pradhan told MPs on July 19. Once ONGC buys government stake, HPCL will become a subsidiary of India's largest oil producer and its board will continue to be in place. ONGC will have to complete the acquisition of HPCL within one year. The move is in line with the government's target to create integrated Indian oil companies of global size and heft through mergers and acquisitions among existing state-run players. The stake sale in HPCL will also help the government meet some 38 per cent of its disinvestment target of Rs 72,500 crore for this fiscal. "We see opportunities to strengthen our CPSEs (central public sector enterprises) through consolidation, mergers and acquisitions. By these methods, the CPSEs can be integrated across the value chain of an industry. It will give them capacity to bear higher risks, avail economies of scale, take higher investment decisions and create more value for stakeholders. Possibilities of such restructuring are visible in the oil and gas sector. We propose to create an integrated public sector 'oil major' which will be able to match the performance of international and domestic private sector oil and gas companies," finance minister Arun Jaitley had said in his budget speech. 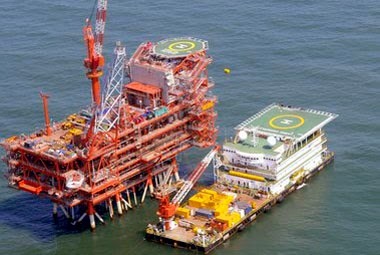 Following the Jaitley's Budget announcement, ONGC had evaluated options of acquiring either HPCL or Bharat Petroleum Corp Ltd (BPCL) - the two downstream oil refining and fuel marketing companies. However, ONGC found the nation's second-biggest fuel retailer BPCL too expensive. It then conveyed its choice to the parent oil ministry, which relayed it to DIPAM (Department of Investment and Public Asset Management). HPCL has a market cap of Rs 51,764.25 and ONGC's bid to buying government's entire 51.11 per cent stake would entail an outgo of Rs 26,450 crore. 1. Mergers and consolidation of PSUs is the only way to create an oil giant. HPCL-ONGC deal is the first step towards this. The government might ask IOCL to acquire the smaller Oil India. 2. Oil PSUs consolidated into a single major company will create economies of scale and have higher capacity to bear risks and more efficiency. 3. Consolidation in oil sector is a globally acknowledged practice. HPCL is a refining company while ONGC is an oil explorer. Consolidation of different operations will give ONGC control over value chain leading to strengthening of balance sheets. 4. A bigger Indian oil PSU will be able to better withstand the volatility in the global oil market. 5. The domestic PSUs are looking for overseas assets in a bid to protect themselves from volatility in crude prices. A bigger company will have better bargaining power. 6. The merger will help the government meet more than a third of its divestment target for the current financial year without losing control over the company.